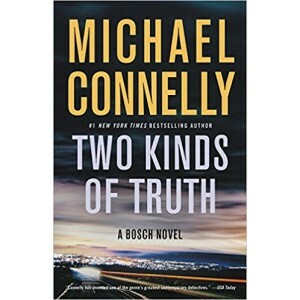 Harry Bosch is back as a volunteer working cold cases for the San Fernando Police Department and is called out to a local drug store where a young pharmacist has been murdered. 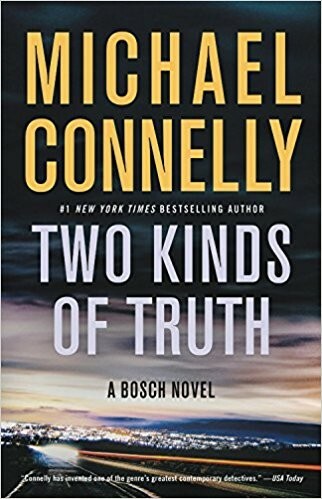 Bosch and the town's 3-person detective squad sift through the clues, which lead into the dangerous, big business world of pill mills and prescription drug abuse. Meanwhile, an old case from Bosch's LAPD days comes back to haunt him when a long-imprisoned killer claims Harry framed him, and seems to have new evidence to prove it. Bosch left the LAPD on bad terms, so his former colleagues aren't keen to protect his reputation. He must fend for himself in clearing his name and keeping a clever killer in prison. The two unrelated cases wind around each other like strands of barbed wire. Along the way Bosch discovers that there are two kinds of truth: the kind that sets you free and the kind that leaves you buried in darkness. Read Full Description. Harry Bosch is back as a volunteer working cold cases for the San Fernando Police Department and is called out to a local drug store where a young pharmacist has been murdered. Bosch and the town's 3-person detective squad sift through the clues, which lead into the dangerous, big business world of pill mills and prescription drug abuse. Meanwhile, an old case from Bosch's LAPD days comes back to haunt him when a long-imprisoned killer claims Harry framed him, and seems to have new evidence to prove it. Bosch left the LAPD on bad terms, so his former colleagues aren't keen to protect his reputation. He must fend for himself in clearing his name and keeping a clever killer in prison. The two unrelated cases wind around each other like strands of barbed wire. Along the way Bosch discovers that there are two kinds of truth: the kind that sets you free and the kind that leaves you buried in darkness.